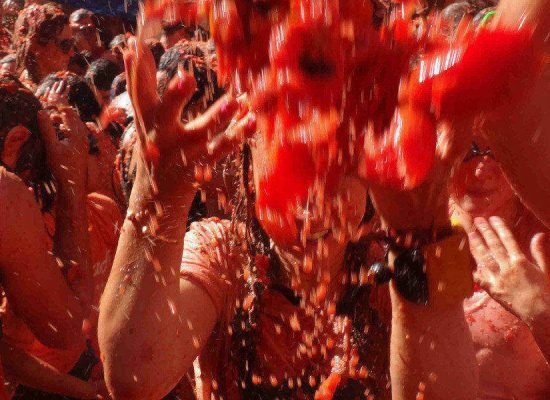 Why Book La Tomatina With Us ? 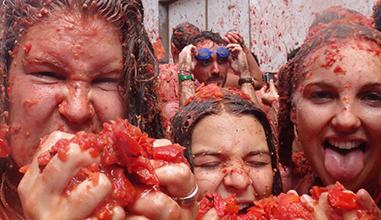 Book La Tomatina 3 Night All-Inclusive Tours Now & Save. You can book online and secure your place for only £180 which includes your all-inclusive camping accommodation with air mattress and sleeping bag along with breakfasts and dinner for 3 nights. Select your dates below, it’s that simple. Stay with us for the world’s biggest food fight, where it is pure madness, just how we like it! 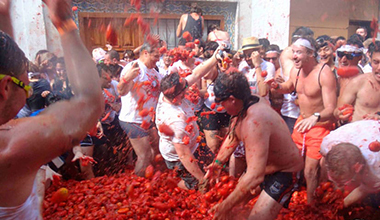 Tens of thousands of people from around the world gather to the streets of Bunol throw tomatoes at one another. When we aren’t getting lost amongst the red smoosh of tomatoes, you can find us at the campsite either swimming in the pool, sunning on the beach and dancing at our crazy campsite parties. We stay just north of Valencia, in a beach town called Puzol. 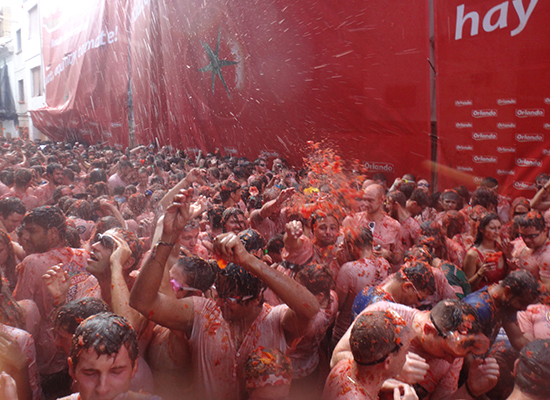 We have our own private shuttles for La Tomatina Festival and for visits to town. Our camp is beachside… you can get out of your tent, make a beeline for the beach and be splashing about within 5 minutes of opening your sangria-soaked eye sockets. The campsite has full-time security, a bar, restaurant and shop onsite, a great swimming pool with slide and full amenities. Sunglasses, towel, sunscreen as it gets pretty hot, a pillow and torch for your tent, goggles, condoms, a waterproof camera, swimmers, old shoes and a change of clothes that can be thrown out after the madness, and shampoo if you don’t want your hair stained red for the next month. 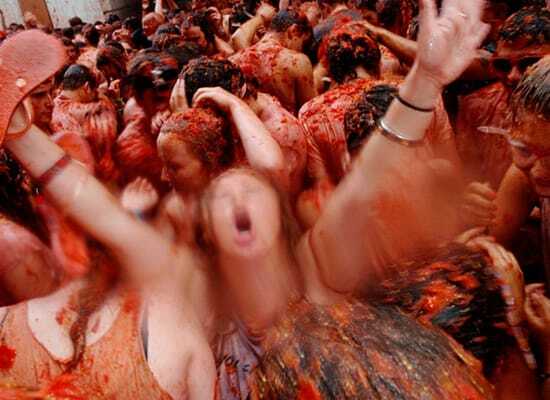 Are there shuttles to and from Tomatina? 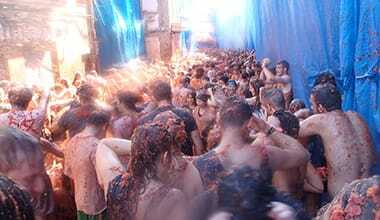 The shuttles to and from Tomatina are included. And what amenities are offered at the camp site? The campsite is awesome! It has a giant pool, a cafe, a little shop, hot showers, laundry area, parking, drinkable water, and it’s a five-minute walk from the beach. Are there lockers where we can put our passports or other important items? The campsite itself has no lockers, but we a campervan which gets locked every night and we can store small valuables there.